I love jewelry and unique items that represent my love for cars. My newest find is so cool that I had to share it with everyone. 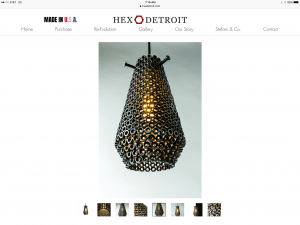 Enter HEX Detroit! 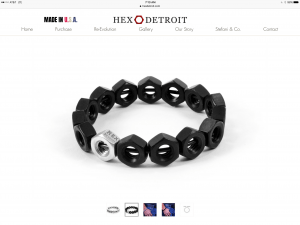 Hex Detroit has taken automotive design and manufacturing to a unique level, showcasing the most elemental component of the assembly line, the Hex Nut, and has developed its premium Hex Gear product line with the ingenuity and industrial style that could only be born in Motown. 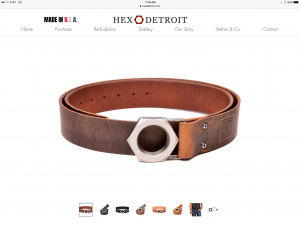 Every piece of the Hex Gear by Hex Detroit line is 100% constructed from authentic materials and finished with craftsmanship that can only be made by skilled artisans right in Michigan. I own one of each color bracelet and a HEX Detroit belt which my son, Paul Fix III, loved so much that he took it back to college with him. 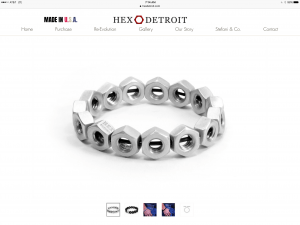 Check out HEX Detroit for yourself. 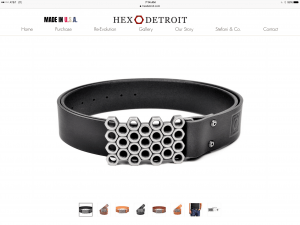 Once you see how cool the jewelry, belts and home accessories are, you’re likely to want to own HEX Detroit products too.